Baader T-Pod Aluminium Tripod 75-110cm with 220lbs (100 kg) capacity and 6,9 kg weight in black anodized surface available. 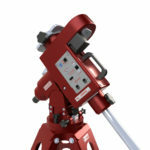 The metal tripods by Avalon Instruments have been designed to revolutionize the world of portable astronomy with both the style and function that Avalon Instruments is known for. Made entirely from anodized aluminum with stainless steel hardware, the low weight and high stability of these tripods make them the ideal companion for travelling observers and astrophotographers. the bigger T-110 and T-130 extends to a maximum height of 43 inches (110cm) or 51 inches (130cm). The tripods are very lightweight and have small folded dimensions for easy transport. Each tripod will be delivered with a dedicated carrying bag. The built-in spreader system allows the tripod to be quickly and easily opened with no loose parts while the double leg locks and included bubble level make it easy to level the tripod and securely lock it in place. The base of the legs can be fitted with ground spikes for soft ground or rubber tips for hard surfaces. In addition, the tripods are equipped with a convenient handle for easy transport. 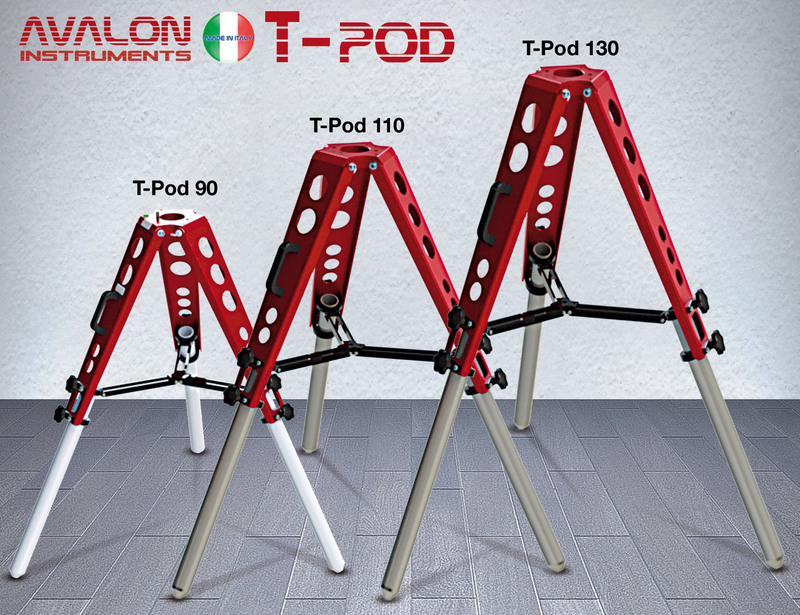 While conceived for the Avalon M-Uno, LineAR and M-Zero mounts, the tripods are also compatible with other mounts. Read more: test review of AVALON T-Pod Tripods on "www.cloudynights.com"
Vixen SXV/SXD/SXP/SXD2 und other mounts. Vixen GP/GPD2 and other mounts. Compatibility will be either native or through the use of an available adapter. - we shall gladly advice you.